The most prevalent cause of rotten egg smell in water in this region is hydrogen sulfide, although higher levels of Manganese in water can also give off a similar smell. Hydrogen sulfide is a colorless gas that can exist naturally in groundwater. Sulfur-reducing bacteria present in groundwater use sulfur as an energy source to chemically change sulfates to hydrogen sulfide. The bacteria use sulfur from decaying plants and other organic matter in oxygen-deficient environments. They can occur in deep or shallow wells, and reside in plumbing systems. Hydrogen sulfide can reveal itself in other ways too. 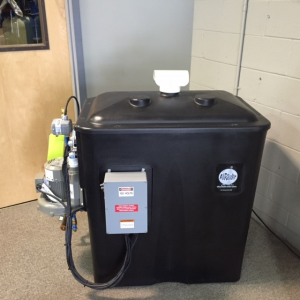 Hot water heaters that have a magnesium rod used for corrosion control can chemically reduce sulfates to hydrogen sulfide. Hydrogen sulfide also can enter surface water through springs as well. It is most common in shale and sandstone. 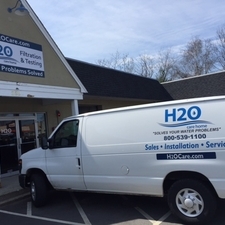 The occurrence of hydrogen sulfide gas has been associated with groundwater with low pH and/or groundwater with high levels of iron and/or manganese (typical water quality issues in New England). 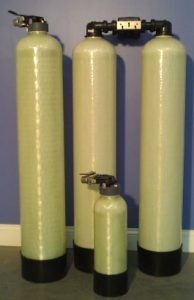 Hydrogen sulfide has a pungent smell at low concentrations and most people can detect concentrations above 0.03 ppm. There is no Maximum Contaminant Level established by the United States EPA. 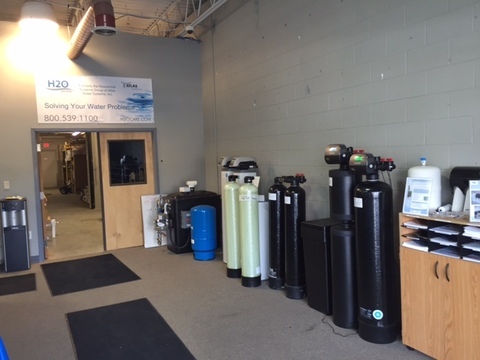 There are different types and sizes of whole house water filtration systems available to address the various types of potential water quality issues experienced in Essex. Selecting the ones that address the water quality issues that have been identified and that you are concerned with is the task at hand. 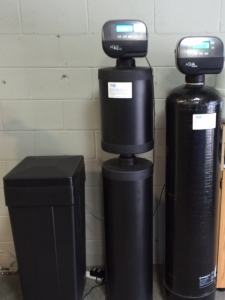 Not only is matching the right technology important, but also sizing the system to meet the water usage demands of your home is very important. 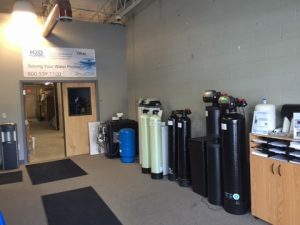 Last, but not least, a professionally plumbed system is also critical as well as maintenance of the system throughout the years to optimize the useful life and proper functioning of your new equipment.